I am so excited to share my latest design with you all. 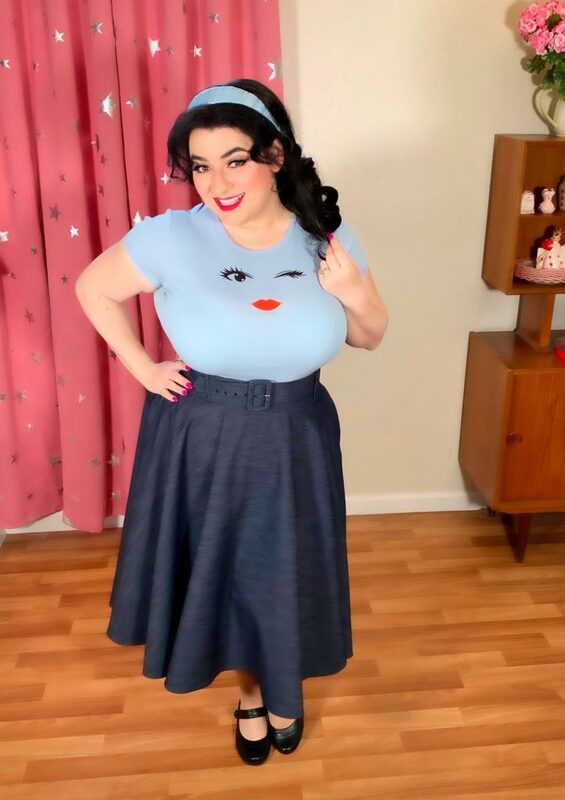 Many of you know I have my little shop Crazy4Me Style that has a great collection of vintage inspired tops and accessories and today my latest design Winking Honey just landed. 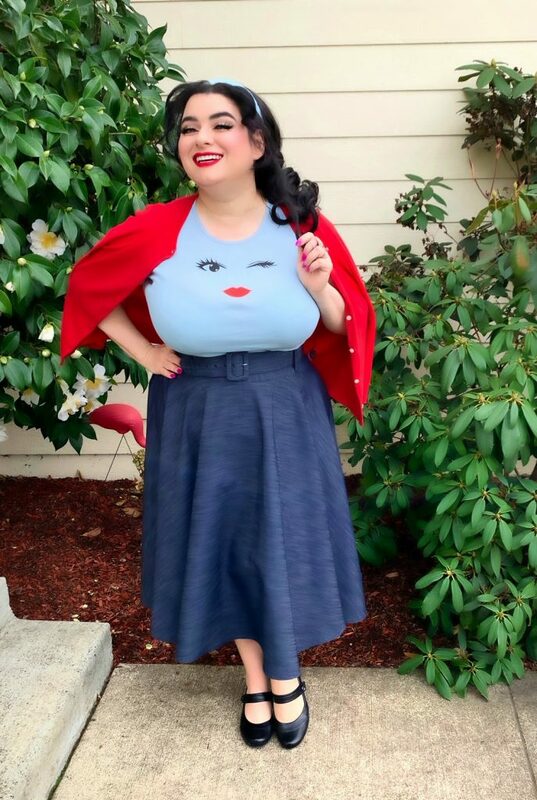 My Winking Honey top is my most versatile design yet and can easily be worn under blazers and cardigans for work or add a circle skirt or pencil skirt for some retro flair and, it also pairs nicely with jeans or leggings for a fun casual outfit. 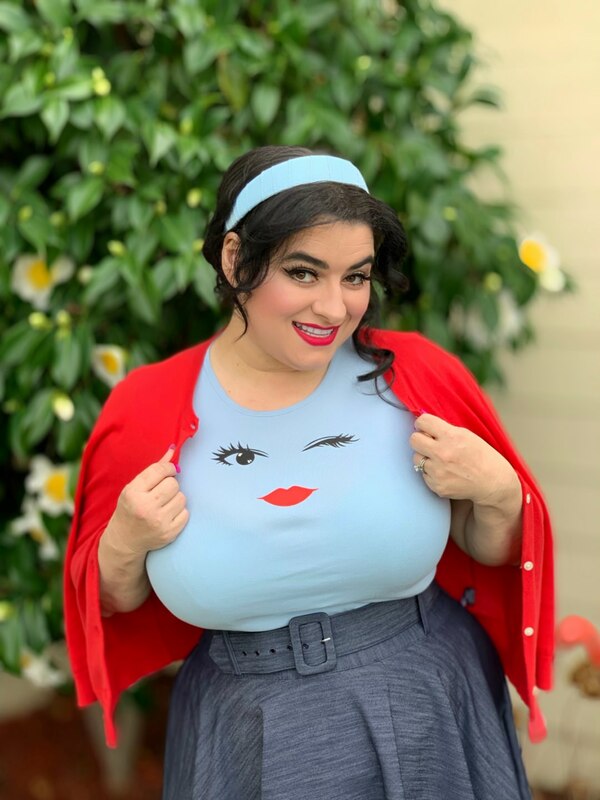 My Winking Honey top is screen printed with custom artwork featuring stunning red lips and a winking eye with long eyelashes on a baby blue ribbed scoop neck top that is so very soft and stretchy. I am thrilled to offer my tops in regular and plus sizes 2-20 for all you honeys!! I wear the curvy size XL and it hugs my curves perfectly. Hurry and snap yours up while they last.